In June 2013, we were aware that our recently adopted Ray had heart-worm, as well as a list of lesser issues (heart-worm was the only fatal, if not treated, condition). He was cleared of his heart-worm condition; an ear infection was successfully treated; fear aggression was identified and addressed; startle response was acknowledged and respected. Now here we are, five years later. He has a personality that is quite endearing, and people smile at him wherever we go. Cars stop to let us cross roads, and we have discovered stores that are dog friendly together with restaurant patios that will allow dogs. Of course Ray knows every store in town that potentially has biscuits just for him and (bonus), he has been on his 10mg dosage of Fluoxetine for almost a week … and so far … so good! How the world has changed for all three of us! Such terrific news that Ray continues to do well. Bravo! Paws crossed! With all your hard work in his training and socialization, it more likely than ever. Sometimes the world does change for the better, doesn’t it? Yes, I meant in the context of Ray and your family! We need good stories like that. Do give Ray a hug from me. If you haven’t read the book, GET IT! I can’t keep it in my Little Free Library. Hmmmm…sitting in a box. Very catlike behavior but don’t tell him that. Oh I would love to know what he is thinking sitting in that box. He probably thought it would make him look cute enough to get some treats out of you and Carol. Love the picture! So glad he survived heart worm, I remember reading in your book about hearing him cry, when he was sick with it. That was a heart tugger! Ray’s story kind of reminds me of a fairy tale. It didn’t have a very good beginning, he had been abandoned, was sick and had other issues to deal with. 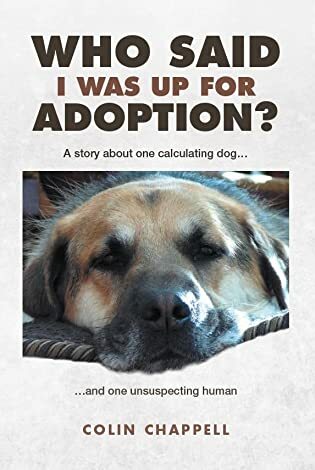 People from the shelter turned out to be his heroes, rescuing him, and then you and Carol came riding a “white horse” , and gave Ray a loving, forever home. Its the best kind of fairy tale, for this one is true! So much change but for Ray today is today, there is no tomorrow and yesterday doesn’t exist. A blissfully lucky boy! Ray is definitely one of a kind! The big doofus looks so cute stuffed in that box I just want to smush him with kisses! He has truly come a long way, as have you and Carol. Has medication helped? Sure. But the biggest factor in Ray’s improvement is loving you and Carol and feeling safe with you. Ray found his people. Lucky for you guys. Everyone wins. 🙂 You just gotta love him Colin. They were fools, but lucky for Ray (and you) they did. I believe that was the only time that we have caught him in a box. Fortunately a camera was within reach to record the event :)! My eldest dog is box mad. As a puppy she’d cram herself into washing baskets, empty boxes from whatever we’d ordered off Amazon and then when she got too big for both she turfed out everything in the bedding box and squashed herself in there instead. Nuts.